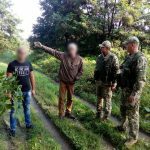 The military staff of the BU “Hrabove”, Lutsk Detachment detained three undocumented persons nearby the state border, who were going through the Zhidnyi Buh river to get to the neighboring Poland. The detainees claim that they are citizens of India. Now, the offenders are delivered to the border unit to clarify the circumstances of the offense. 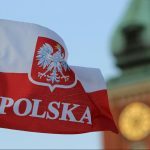 This entry was posted in Translated Media-News from Ukraine and tagged india, offenders, Poland on October 5, 2018 by oksana.